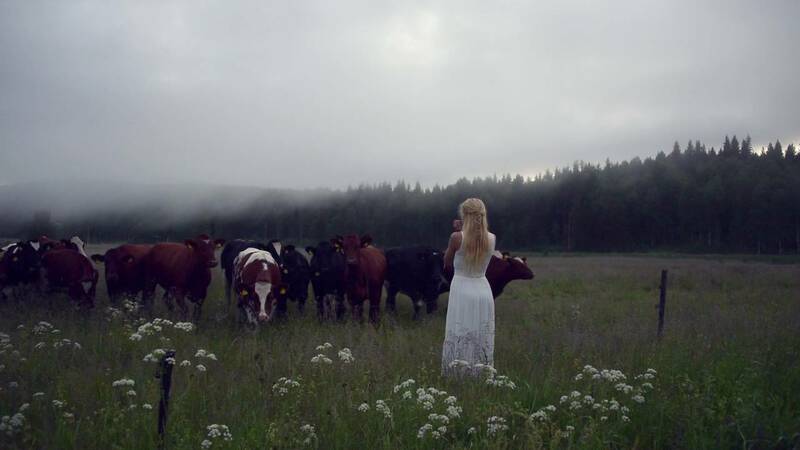 Swedish artist and photographer, Jonna Jinton, had an intriguing thought that came across her mind one day—to see if a herd of cows would respond to her ancient herding calls. The ancient herding calls, called “kulning” was used by nomadic cattle herders to call their livestock who had been grazing in the pasture all day long from a high mountain. Since the unique herding calls can resonate from across a long distance, it often successfully managed to make the cows and goats come to their herders. Wondering if the cows would respond to the high-pitched herding calls like their ancestors, Jonna set out to do the experiment. “A beautiful, bright night in June I was out to do some “kulning”, the ancient high pitch singing, that a long time ago were used as a herding call for the cows and goats, since the sound travel through far distances, Jonna wrote on the caption.